Low Carb (or Ketogenic) Diets are incredibly popular right now here in the U.S. and I see men on that diet all the time on Peak Testosterone Forum. Altthough, Low Carb Diets have been around for decades with various names and in various forms, they have recently flourished as never before due to the fact that a significant number of doctors and researchers have become apostles of the movement. Weight loss is rapid, due to loss of water attached to glycogen stores, and lipids usually improve in some positive ways, such as rising HDL and falling triglycerides. If you're a meat and dairy lover, this diet seems like a dream-come-true. But behind the scenes, ugly side effects and research have been surfacing and literally tens of millions have jumped aboard. 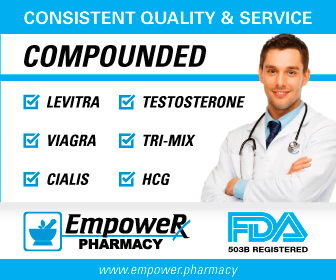 I see over and over men that show up on The Forum with standard symptoms that they assume are testosterone or estradiol related. In fact, I find that they are likely experiencing one or more of the common side effects of Low Carb Diets. Some men even get incredibly ill, and I did an interview with one of them here: A Low Carb Diet Made Me Sick. 1. Heart Palpitations and Arrhythmias. Perhaps the most dangerous aspect of a low carb diet are the ketones. What?!? That's not what you heard, right? Low carb bloggers love to go on and on about the benefits of ketones - and there are some - but there is also a dark side. (Low carb diets are labelled ketogenic, becausse ketone levels in the blood are elevated.) What you are not going to hear about is the fact that high ketone levels can disturb the heart nodes responsible for your heart beat. There is actually a growing body of research on the subject and I discuss it in page on Low Carb Diets and Arrhymias. 2. Increased Cortisol and Adrenaline. Did you know that it is quite common for men on low carb diets to have elevated cortisol or adrenaline? This is actually how these type of diets work interestingly enough. 3. Decreased Blood Flow. Saturated fat slows down blood flow. Many, many studies have shown this. In fact, researchers have actually studied ways to help the arteries recover from a high saturated fat meal. Certain nuts can help for example, such as walnuts. And, of course, exercise can reverse the artery-stunning effects of saturated quite well. However, how many men go for a walk or a run after a meal? If you don't, you will probably find your nitric oxide lowered and your blood flow decreased. Men that are 40+ may notice an impact in the bedroom as well. What I have noticed is that it is always the younger guys pushing low carbohydrate diets. The reason is simple: young guys have enough buffer in their nitric oxide levels to withstand a high saturated fat meal usually. But, as you age, you realize that all that fat is just going to sludge your blood and causes noticeable trouble. 4. High Fasting Blood Sugar. Dr. Greger points out that there is an insulin-producing index that was created for a variety of foods. Counterintuitively for many, beef has a pretty high insulin index. What?!? How can a food with virtually no carbs produce an insulin spike? The reason is simple: modern beef is very fatty and these fats get broken down into fatty acids that end up stored in muscle and liver cells. When these cells start getting packed with fat, insulin resistance sets in. In fact, researchers use high fat diets all the time to induce insulin resistance in lab animals. The irony in this is that many low carb men do not realize that they are actually quite insulin resistant in spite of the fact that they have consumed very few carbs. Because of this, they often have high fasting blood glucose levels. Now, if they are just a little high, it may not be much of an issue. However, to play it safe, many physicians now urge low carb followers to pull their A1C also and make sure that average blood glucose levels are not too high. Again, some men just do not do well with low carb and higher glucose levels will age tissues and potentially lead to chronic disease(s). 5. High Fasting Insulin Levels. Some low carb men - again, I am not saying all - have sky high fasting insulin levels. I was just chatting with one whose numbers were 15+. Of course, this is potentially dangerous for many reasons, including the fact that high insulin levels are pro-cancer and pro-inflammatory. Again, the irony here is that a low carb person can have just as many blood insulin and glucose issues as men eating a lot of refined carbohydrates. 6. Decreased Exercise Performance (Higher Intensities). Have you had a low carb person tell you that their diet has been shown in the studies to increase exercise performance. I have. The person left out one little detail: this is only true at lower exercise intensity levels! And they also failed to mention was that still other research shows that at higher intensity levels, low carb or ketogenic diets actually lower exercise performance. a) It is critical for athletes to consume a good amount of carbs post-workout in order to in order to activate their glycolytic enzymes sufficiently to handle the ensuing (and necessary) glycogen loading sequence. 8. High LDL Particle Counts. As I mentioned, low carb bloggers love to discuss how their HDL has gone up and their triglycerides have gone down.. There is even a study out there that shows that a Low Carb Diet can regress plaque. (Keep in mnd that this study looked at 3 diets where the partipants losetweight and ALL 3 diets showed plaque regression simply due to the fact that their was weight loss.) What these bloggers never mention to their followers as far as I can tell is that low carb diets will astronomically raise LDL-P (LDL Particle Count) in about a third of men. Interestingly enough, low carb blogger Jimmy Moore is one of those men and I posted his numbers in my page on Low Carb Diets and Heart Disease. His particle count number - and particle count is the #1 predictor of heart disease right now - was over three times the level that Dr. Davis recommends to regress plaque. It's just simple chemistry: when the particle count is high, LDL will get pushed into the arterial wall. I find it very hard to believe that Low Carb men with this situation will somehow be magically protected from building up atherosclerotic plaque. And, once those penile arteries clog up, erectile function will go out the window. 49 Left Ventricular Dysfunction. One recent animal study found that a ketogenic diet negatively alterted the heart itself. Of course, this would not be too surprising considered the changes that occur that lead at times to arrhythmias. See my page on Low Carb Diets and heart disease for more information. 10. Gut Issues. Have you ever thought about what a carnivore's colon has to do handle? It gets little to no fiber and is filled with a slow moving, decaying, fatty animal leftovers. To adapt to this potentially toxic situation, carnivores have very short, straight colons. Thank God we have short straight intestinal tracts, right? Wrong!! Nothing could be further than the truth. Our intestines are very long with many convolutions. We can pretend all we want, but we have the gut of an herbivore. Yes, we can eat some meat and all virtually all cultures on planet earth eat at least some animal foods, but dumping the typical low carb meal into our GI tract is simply fighting against Mother Nature. Your gut is cursing the darkness as this rancidifing, decomposing, lardy mass slowly scrapes its way through the many twists and turns of the small intestine. Many low carbers consume lots of heme iron, which is pro-inflammatory just to complete the package. If you wonder why low carbers often complain of gut-related issues, it starts to make a lot of sense. You're throwing the diet of a wolf or bear and forcing it through the GI tract of essentially a gorilla or chimp. Some day we will face this fact: it is our brain that has put us at the top of the food chain, not our gut! But mounds of meat is very ingrained in the American BBQ Culture. It is often a part of our status and identity. "Potatoes and rice are for those po' folk - not us..."
""The increase in colitis stemmed from an uncontrolled growth of a certain type of bacteria, according to the researchers. These bacteria grow quickly in environments where saturated fats are broken down, and this overgrowth results in an immune response that leads to inflammation and colitis." "
11. Decreased Thyroid Function. Many men struggle with hypothyroidism and do not realize that their low carb diet may very well be lowering their thyroid function. Anthony Colpo did a nice job of summarizing the research and you can see his discussion here. 12. CCK Resistance. Finally, it has recently been found that rats fed a high fat diet developed cholecystokinin (CCK) resistance. Cholecystokinin, or CCK, controls blood sugar production in the liver. A high fat diet limits CCK, leading to overly high CCK levels. Being CCK resistant will very likely prove to be just as bad as insulin resistant and a high fat diet appears to lead to this condition. CONCLUSION: Just as there are "good fats" and "bad fats," there are good carbs and bad carbs. Many men are now scared of carbs, but there is no need to be as long as you are consuming low glycemic load carbs. In my opinion, many men out there will feel better and have better workout if they just add some of these good carbohydrates back into their diet. 9) Circulation, 2007, 116:II_819, "Abstract 3610: Comparative Effects of 3 Popular Diets on Lipids, Endothelial Function and Biomarkers of Atherothrombosis in the Absence of Weight Loss"
15) Amer J Clin Nutr, Received for publication February 3, 2009. Accepted for publication May 21, 2009; Emiliano Albanese, et al; "Dietary fish and meat intake and dementia in Latin America, China, and India: a 10/66 Dementia Research Group population-based study"
16) Cell Metabolism, Aug 6 2009, 10(2):99-109, "Intestinal Cholecystokinin Controls Glucose Production through a Neuronal Network", Grace W.C. Cheung, et. al. 17) Amer J Clin Nutr, Received for publication February 3, 2009. Accepted for publication May 21, 2009; Emiliano Albanese, et al; "Dietary fish and meat intake and dementia in Latin America, China, and India: a 10/66 Dementia Research Group population-based study"
18) FASEB J, 2009 Aug 10. [Epub ahead of print], Murray, et. al., "Deterioration of physical performance and cognitive function in rats with short-term high-fat feeding"
19) "Vascular effects of a low-carbohydrate high-protein diet", Proceedings of the National Academy of Science, Published online 25 August 2009, Foo S, Heller ER, W20) Prevention, Apr 2010, p. 45. 20) European journal of applied physiology, 2010 Apr, 108:1125-1131, "Influence of dietary carbohydrate intake on the free testosterone: cortisol ratio responses to short-term intensive exercise training." 21) Journal of Exercise Physiology, 2009, 12(6): 33-39, "Dietary Carbohydrate and Protein Manipulation and Exercise Recovery in Novice Weight-Lifters"
23) Environ Health Prev Med, 2002 Jul, 7(3):95 102, "Types and amount of dietary fat and colon cancer risk: Prevention by omega-3 fatty acid-rich diets"
24) Am. J. Epidemiol, 2007, 166(2):181-195, "Dietary Fatty Acids and Colorectal Cancer: A Case-Control Study"
27) Environ Health Prev Med, 2002 Jul, 7(3):95-102, "Types and amount of dietary fat and colon cancer risk: Prevention by omega-3 fatty acid-rich diets"
29) Current Opinion in Gastroenterology, Jan 2008, 24(1):51-58, "Nutrition and colonic health: the critical role of the microbiota"
30) American Journal of Physiology, 1 Aug 2010, 299(2):G440-G448, "Propensity to high-fat diet-induced obesity in rats is associated with changes in the gut microbiota and gut inflammation"